In a World Cup year it is only natural that the focus of most rugby people in Australia will be on the Wallabies in the hope that a wretched 2018 season can somehow be turned into a successful campaign in Japan. But if the Wallabies set the overarching mood for Australian rugby, it is club and community rugby that remains rugby’s engine room, and it is here that the deep enjoyment, passion, frustration and anger associated with the game is most heartfelt. 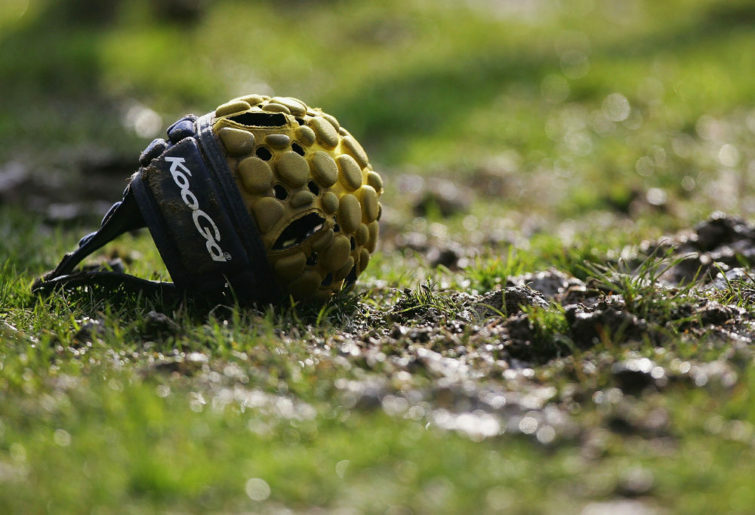 You don’t need to cast a wide net to be told that grassroots rugby is suffering – dying, even – and how this is the fault of an out-of-touch central administration. But what is the real situation and how can the narrative around rugby in Australia be switched from the negative to the positive? Prior to compiling these articles I interviewed a number of participants in the community game – club presidents, coaches and ‘everyday Joes’ – from country and city locations across four states, chosen and contacted randomly. A number spoke only on the condition that they remained anonymous. Others were initially happy to go on the record but then added qualifiers about removing their name from particular comments. As a result, rather than attribute specific quotes to individuals, I’ve grouped them collectively, with all contributors remaining anonymous. The fact that there was furious agreement anyway on almost all matters raised makes this the logical way to proceed. What is undeniable is that many rugby clubs are doing it tougher than they were prior to professionalism, or at least they feel as if they are doing it tougher. And while a number of reasons were offered, in almost all cases the primary concern was either decreasing numbers (players and volunteers) and/or how difficult it has become to maintain numbers. Those in regional centres complained about how kids with talent were funnelled to Sydney and Brisbane clubs as soon as they finished school and that many of the next layer – those who might otherwise form the backbone of their clubs – invariably made the same move for employment or education opportunities. This was said to provide two important flow-on effects, one being that because state rep, NRC and Super Rugby sides no longer contain country players (as distinct from country origin), this leads to a feeling of being neglected and less connection or ‘buy-in’ to professional rugby from country supporters. Also, with fewer junior players staying on, there are fewer parents to bring them along and/or watch and, from there, to ‘stick’ and themselves become involved in the clubs as team managers, bar workers and raffle sellers. Another common theme was the “distractions” or “excuses” around people being “time poor” and having “too many other options” to commit to a continuous training and match schedule over a full season. As a consequence there is concern that the average age of club senior teams is rising and that many players would like to retire but, because there are no younger replacements, they play on only out of a sense of duty to the club. Another factor raised was cost. Due to some clubs having the capacity to generate revenue through sponsorship and fundraisers, there is a wide variation in player subscriptions – even between clubs in the same town – with the result that some players effectively play fully subsidised for free while others pay a few hundred dollars to do so. This highlighted issues within competitions about strong clubs profiting at the expense of weaker ones, manifesting in better facilities, equipment, the pick of the best players, payments to players and coaches and more members to help share the workload – it is as if every rugby competition across Australia has its own Penrith and Sydney University! Almost without exception people spoke to me about how self-interest and political and parochial concerns affect their club competitions and selection for representative sides. “Every person is just out for their own club” was a common, angry refrain. There was more, but you get the picture. James Selby is Rugby Australia’s man in the hot seat, appointed as general manager, community rugby, with 21 years of sports management experience across a wide range of sports. He’s enthusiastic and clearly focused on delivering growth and improved outcomes for the game at the community level, particularly via schools. “In 2018 a staggering 657 schools signed up to programs including ‘Get into Rugby’, Foxtel Touch 7s, Sevens and Deadly 7s. Of those, 61 per cent were government-run schools and 46 per cent of participants were female. Rugby union is now the third-most played sport in secondary schools through the Australian government Sporting Schools program. These growth aspects are already impacting clubs, with a number who have embraced the programs registering large increases in membership. While some traditionalists argue that these programs only deflect attention away from the decline of the 15-a-side game, Selby also points to ten new rugby clubs opening their doors in 2018 and growth in men’s 15s player numbers in 2018 in Queensland (ten per cent), ACT (seven per cent) and South Australia (two per cent). “I understand the emotion around the despair that some people have for the state of rugby,” he says, “But the truth is that we had incremental growth in numbers of people playing 15s last year, so that’s arrested a decline in playing numbers over previous years. And that’s in a season where the performances at the top level weren’t great. The challenges, however, remain significant. What about Australian rugby’s age-old problem of the national and state unions having conflicting interests? Rugby Australia has also initiated the ‘#partofmore’ campaign aimed at reconnecting the professional and amateur game that, among other things, saw a large number of grassroots rugby people, many of them from the country, march around Sydney’s Homebush Stadium prior to last year’s Bledisloe Cup fixture. This program is also responsible for a series of entertaining (and emotional) short videos in which grassroots rugby participants tell their personal stories. Progress has also been made with respect to officials (98 per cent compliance across 2000 registered referees), and the roll-out of the ‘blue card’ system from under-13s upwards to help prevent and manage concussion issues. Another major factor is the Australian Rugby Foundation, a body established in 2014, independent of Rugby Australia, whose stated aim is to “raise funds to make rugby a game for all”. As well as providing a future fund, their total investment in 2018 was in excess of $1.3 million, across women’s rugby, community initiatives, kids clinics, coaching clinics and special rugby events. There was also the provision of a ‘fundraising toolkit’ aimed at supporting and educating clubs and unions to fundraise more effectively. In addition, support was provided to high-performance rugby by way of a research grant, and there was direct support for the Australian Schoolboys and U18s programs and to serious injury and management initiatives. If this article reads like two disconnected halves bearing little in common with each other, it reflects, in essence, the heart of Australian rugby’s malaise. Tomorrow, in part two of ‘What’s the real lowdown with grassroots rugby?’ we take a closer look at the reasons for this disconnect and examine ways in which the professional and community game can be bought closer together. Note that comments on today’s article are disabled, held over until tomorrow’s article, so that discussion can be had in the context of the full story.